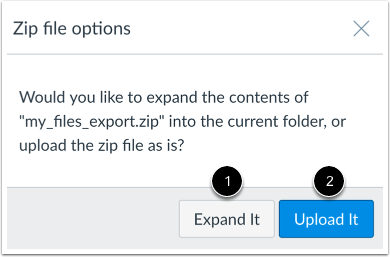 You can import .zip files to your personal or group file storage area. Note: Canvas does not support file uploads larger than 5 GB. Your files will be uploaded to your personal or groups file storage area. Previous Topic:How do I preview a file as a student? Next Topic:How do I delete a file or folder as a student? 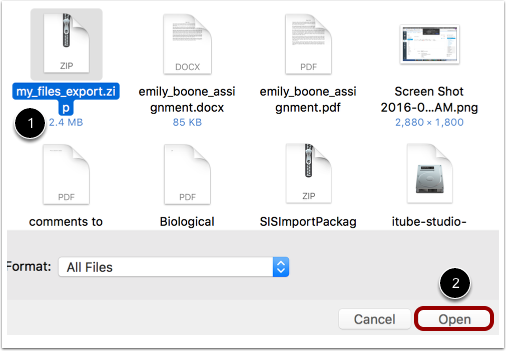 Table of Contents > Files > How do I upload ZIP files as a student?